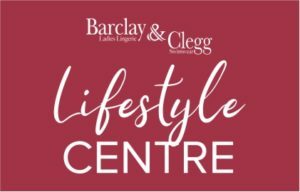 A variety of nightwear is available at Barclay & Clegg. Created from the finest materials, including luxurious cottons and satins, all items are of the highest quality. Our nightwear is specifically designed to the taste of all ages, sizes and desires. Our ranges consist of both elegant, sensual and practical styles as well as long and short. Chiffon black nightie with purple lace detail. Soft white chiffon nightie with lace detail by Fauve. Dove grey soft nightie with matching gown. Soft lace cami with matching lace brief. Light peach satin nightie with soft lace detail. White Speidel cami with matching brief. Polka dot printed chiffon shorty and cami set. Dark grey satin nightie with detailed embroidery. Charcoal long sleeve top and lounge pants. Black nightie with lace detail. Red lace nightie with detail down the back. Woven cotton grey nightie by Freya. White moulded bra with lace detail and matching gown by Lise Charmel. Matching shorty and cami set with black and yellow lace detail and a matching gown. Black all over lace underwire cami with matching brief by Speidel. Swing vest top and lounge pants by Freya. White Speidel lace cami with matching brief. Animal printed underwire bra with matching thong and satin gown. Soft pink and grey satin cami and brief set by Fauve.